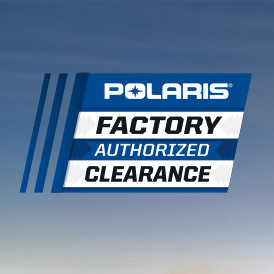 All videos, information, vehicles, and riders contained on this site represent trained professional drivers operating customized Polaris racing vehicles on closed race courses. 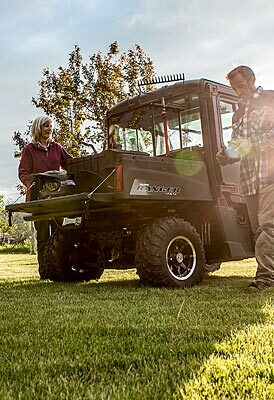 Always operate your vehicle in the manner recommended by the Owner’s Manual, follow all safety warnings and instructions, and ride within your individual skill level and capability. 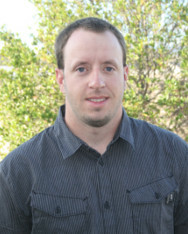 Schueler attended Sunrise Mountain High School in Peoria, AZ , In his junior year of high school he and his brother founded Jagged Extreme LLC. In the humble confines of their home garage where they began customizing everything from golf carts to Jeeps and ATVs. Both brothers had a keen set of mechanical skills and lot of imagination. With their passion along with the rapidly expanding off road vehicle market they were able to grow this business into one of the most well known off road fabrication shop in Arizona. 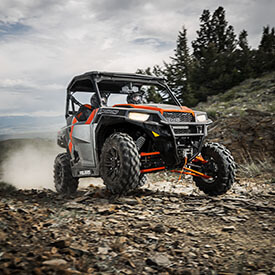 In 2007, along with the introduction of the revolutionary Polaris RZR, Jagged X became an aftermarket development partner for Polaris and launched a whole new world of offroad . This also sparked the birth of the factory backed Jagged X Racing team. Schueler has taken the lead role on the racing side of things and is the key to the teams racing success. Schueler is the lead driver of the 1919 BITD (Best In the desert) race car. 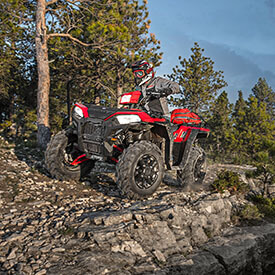 The 1919 has transformed through four generations of RZR, starting out as a two seat 50” RZR 800 into the 100+ horsepower RZR XP 4 of today. Schueler’s role, however, goes much deeper than racing a RZR in the desert. 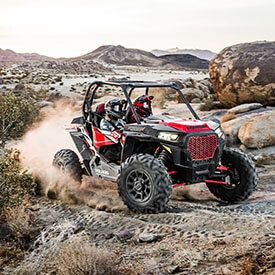 The Jagged X racing efforts help feed the engineering and product development teams information that help improve Polaris vehicles across the board. When Schueler is not racing or building the coolest race cars, he enjoys snowboarding, Shooting, Fishing and camping in his beautiful home state of Arizona. Cody Rahders, currently 19, started racing both Motocross and BMX at the age of five competing in the highly competitive race circuits of Southern California and even raced at the KTM Challenge at the 2003 San Diego Supercross. After a string of injuries, Rahders stepped away from racing MX to concentrate on recovery and baseball. In 2007, at the age of 12, Rahders decided he wanted to start racing again. 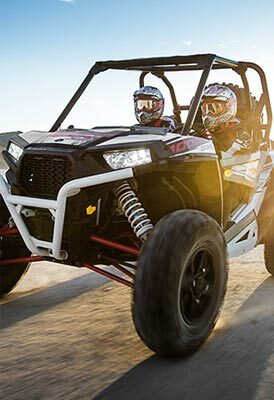 His mother said, “Ride all you want but race in a cage.” And with this, Rahders moved into UTV racing competing in events such as the Lake Elsinore GP and Soboba GP. His results were good enough where at the age of 13, he moved into short course off road racing full time competing in series such a M4SX, Monster Jam and any one off event he could find. 2009 was his break out year where at M4SX Rahders won Rounds 1 thru 7 of the Armature series clinching the title Armature early and turned Pro for Round 8. 2010 and 2011 Rahders converted his UTV to SR1 spec (R1 street bike powered UTV) and went to the Lucas Oil Off Road Racing Series where he had several wins and placed well both years. In 2012, Rahders competed in three different series capturing titles in two of them, the 2012 WORCS Production 700 champion and the Lucas Oil Regional Series SuperLite Champion, and placed 6th overall in LOORRS. 2008-M4SX-Superstock. 5th overall. One podium in eight races. 2009-M4SX-Amature Modified Champion. Seven podiums including seven wins in eight races, turned pro at round eight. 2010-LOORRS-SR1-5th overall. Six podiums including one win in fifteen races. 2011-LOORRS-SR1. 4th overall. Six podiums including three wins in fifteen races. 2012-WORCS-2012. Production 700 Class Champion. Six podiums in eight races including three wins. LOORRS SuperLite Champion. Three podiums including two wins in five races. LOORRS SuperLite, 6th overall. Five podiums including two wins in sixteen races. Scott Kiger, a Waynesburg, Pennsylvania native started racing ATVs in 1990. In his early 20’s Kiger had a passion for racing and it was on ATVs at that time. After competing in the GNCC for some time, Kiger decided to focus on his career more so than racing. Due to the tim­ing, GNCC racing was still relatively new in its development stages, so there wasn’t enough factory support to take it serious and make a solid career from racing. “I had to do something to get my career started, so I just gave up racing and put my head down and went to work hard for 20 years,” Kiger said. Now he is the President of SDI (Shaft Drillers International). A couple of years ago GNCC racing started the four classes for the UTV vehicles to compete in the series. After achieving remarkable success in the shaft drilling business, Kiger decided it was time to get back to the track where he enjoyed being around the great people involved in racing. He got his competitive spirit and helmet off the shelf and went out to have some fun. Kiger is very active and helpful not only in his business but in the community as well. 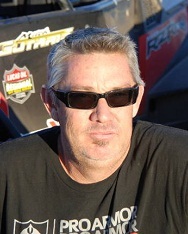 He runs with Yokley Racing in GNCC and with Coastal Racing in Best in the Desert. Kiger still resides in Waynesburg, PA as a small town boy who loves to go out and thrash it up on the track! Jacob Shaw has been racing for 15 years. He started racing MX when he was eight years old on a 65cc and was hooked. His MX highlight was qualifying for the Loretta Lynn’s Amateur Nationals on a 85cc motorcycle. Once he started high school, he made a fulltime commitment to football as a middle linebacker and put racing on the back burner for a couple of years. In 2011, Shaw entered into a WORCS SxS race in a completely stock UTV and finished third and his passion for racing was re-born in SxS racing. He raced a year in the HDRA desert racing after that and then back to WORCS for 2013 through 2015. In 2015, Shaw raced in the WORCS SxS Pro-Stock in a 2015 Polaris RZR XP 1000 and in the SxS 600 SS class in a 2015 Polaris ACE 570. For 2016, Shaw will be racing in the Pro UTV Turbo class in the Best in the Desert race series in a 2016 Polaris RZR XP Turbo.He is super pumped to race BITD and to defend his UTV World Championship on the short course race. Shaw’s goals for 2016 race season are to finish on the podium each race I enter and to have fun doing it. When he’s not racing or prepping for a race, he works full time as a D10 Dozer operator on large earthwork projects in the San Diego area. Shaw comes from a long line of heavy equipment operators so it is in his blood! WORCS SxS Pro-Stock – (2) 1st place & (4) 2nd place podium finishes out of 10 races. I received a 3rd Place Championship in the series. WORCS SxS 600 SS – (6) 1st place & (2) 2nd place & (1) 3rd place podium finishes out of 9 races. I received a 1st Place Championship in the series. At the age of 10, Bogdan’s dad bought him an XR80, ever since then, he’s been on both two wheels and four, as hobby more than anything. It wasn’t until 2012 when he met a girl who happened to have a father who raced GNCC, Scott Kiger. After a year of being around the shop and watching him race the GNCC series, Bogdan quickly found the love for the sport of off-road racing. He and Kiger’s mechanic Tyler King agreed to help Kiger’s daughter and build a Polaris ACE to race just for fun. Not long after building the car, it became very competitive for them. Bogdan’s first year started in the novice class winning my first race, and finishing twelfth overall with help from his co-pilot Jade Kiger. His next race, Kiger decided to move him up to the XC2 class and before he knew it, he finished the year ninth place in the class. With the help of Kiger and the guys at the Coastal shop, Bogdan continued to race and drove every chance he got. It all seemed to happen really quick and paid off last year winning the XC2 championship. Bogdan is excited to move to XC1 and hopefully one day be crowned a champion. RJ Anderson, short for Randy Anderson Jr. was born on February 17th, 1993 in Riverside, CA. It is in Anderson’s pedigree to be successful at a young age. 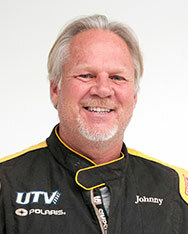 Father Randy Sr. became Walker Evans personal crew chief at the young age of 19 and has since gone on to becoming part owner of Walker Evans Racing. Growing up surrounded by this much success and experience in racing has given Anderson a solid foundation for which to build his own racing career. Beginning his career racing go carts at age 11, Anderson transitioned into youth TrophyKarts where he would begin his off-road racing career. He quickly progressed into a UTV at age 15 and has remained a UTV competitor in numerous race series including the Lucas Oil Off-Road Racing Series, M4SX, WORCS, and numerous Grand Prix events. 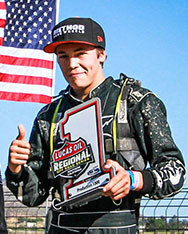 In 2011 at age 18, Anderson would claim his very first professional UTV Championship crown at the Lucas Oil Off-Road Racing Series. The same year Anderson moved into the ProLite and SuperLite divisions at in the Lucas and the TORC off road racing series. In his first full season behind the wheel of his V8 Pro-Lite Anderson claimed TORC Rookie of the Year honors as well as taking 2nd in points for the series class championship. Anderson would cap off his year by bringing home a $10,000 check and the prestigious Lucas Oil Challenge Cup trophy in the Lucas Oil Off Road Racing Series season finale. In 2012, Anderson joined the Stronghold Motorsports organization alongside seven time supercross champion, Jeremy McGrath and action sports personality Cameron Steele. 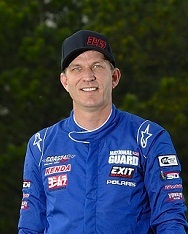 In addition to racing his ProLite in the Lucas series, Anderson also campaigned his Polaris RZR in the WORCS Series where he collected five wins among his seven podium finishes while finishing second in the year-long championship chase. Dominating the ProLite division with five wins among his ten podium finishes over the course of the season, nineteen year old Anderson became the youngest professional champion in Lucas Oil Off Road Racing Series history when he clinched the 2012 ProLite division championship with a fourteenth round victory at Las Vegas Motor Speedway. 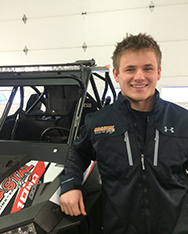 During the off season Anderson enjoys spending time with his family and friends, staying in shape, and planning for the upcoming season both on and off the track while focused on his goal of becoming a champion in many classes of off-road racing. 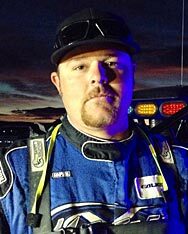 Justin Lambert, residing in Bakersfield California grew up around drag racing and performance as his father built racing engines, drag cars, and drag boats from the ground up. Racing started for Justin in go-karts at age 7, racing and competition is in Justin’s blood. 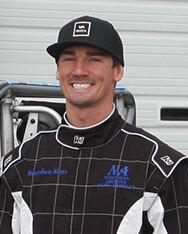 School caused a long hiatus in his racing participation, but now is a Mechanical Engineer having graduated Cal Poly San Luis Obispo with a bachelor’s degree, and went on to start an aftermarket suspension design and manufacturing company called Cognito Motorsports building products for trucks, SUV’s, and UTV’s. 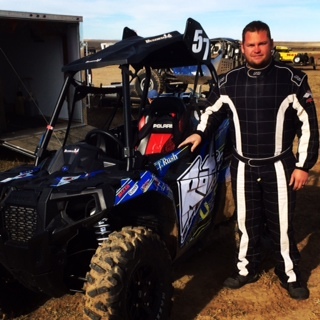 Justin started racing UTV’s in mid-2011, and got hooked on the growing sport right away. 2012 was the first full season raced, and was at that point fully driven to make his way to the upper end of the sport. Determined to grow the Cognito brand and prove Cognito products, Justin races what he designs and builds, thus proven in the harshest conditions. In 2013, Justin competed in both the BITD series and the WORCS series in 2 different cars, and racked up 5 podium finishes including 2 wins. The Cognito team also endeavored into racing in Baja for the first time, starting and finishing the Baja 1000 in 5th place. During time in between races, Justin enjoys spending time with his 6 year old son, as well as snowboarding, wake boarding, recreational off-roading, building his business, and planning his next Cognito racing adventure. Baron started racing MX at age 13 and quickly progressed through the amateur ranks turning pro at age 17. He has held an AMA Pro license for 14 years qualifying for many outdoor nationals, and he has been a durability test rider for many years as well. 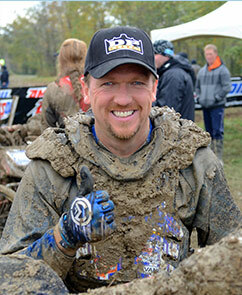 In 2007 Baron tried a WORCS ATV Pro race and it changed his full-time career into racing ATVs. He was the WORCS ATV Champion in 2009, 2012 and 2013. 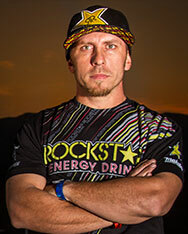 He continues to race ATVs professionally but has also added profesional SxS racing in 2011. In 2013 he took the WORCS Pro SxS championship title and helped the Jagged X Polaris Team secure their championship title in the SCORE Series. 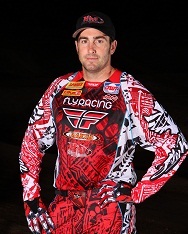 He will be competing in the 2014 WORCS series for both the ATV and the SxS championship titles. Piplic grew up in Lynnwood, Washington and resides in Las Vegas, Nevada. He started riding dirt bikes and ATVs when he was 10 years old with his uncles. He mostly trail rode and went to the Oregon dunes religiously growing up with his family. Piplic never did any racing until he moved to Phoenix to attend MMI. His first race was when he was 19 years old, at a local MX track, at the faiRGRounds. He started with MX and arena cross racing, Piplic got into WORCS Racing in 2004 after he moved back to Washington. He moved up the ranks to become a pro quad racer in 2005 and primarily focused on WORCS. He continues to race multiple disciplines and still enjoys racing his dirt bike when he can at endurocross events, MX and WORCS races. After multiple years of racing ATVs, he had a chance to try racing UTVs. After his first ride, the next week he decided to retire from ATV racing. Piplic started racing a Polaris RZR XP 900 mid-year at WORCS and realized he had found the best form of racing he had ever experienced. Piplic has been fortunate to be part of off-road racing for the majority of his career and couldn’t be happier than racing UTVs. He started out racing his first season mid-year 2011 and worked his way up to 5th in points by the end of the year. In his first full season of 2012, he earned the WORCS SXS 1000 championship and won the 2012 Fall Fuel Fest, in St. George Utah. In 2013 he achieved a 2nd place finish in the WORCS SXS 1000 Pro Production class and also set a new world record for distance jumped in a RZR XP 1000. He also raced the 2013 Baja 1000 with the Cognito Team and earned a 5th place finish in a race a majority of the competitors said a SXS could not finish. With each year SXS racing keeps getting better and he couldn't be more excited to be apart of it! Mitch has always been an avid off road enthusiast and was on the forefront of the rockcrawling craze that began in the 90’s. In 1999 Mitch started competing in professional rockcrawling events. In his six years of competition, he was very successful with numerous wins and went on to win the Pro Rock championship in 2004. He continues to race, but now in the UTV racing, such as the King Of The Hammers UTV race where he has won four out of the five races since its inception in 2009. As time permits Mitch races other series and one off races. He is also crew chief for his son Mitch Jr. Mitch and his wife live in southern California and have two children. The family enjoys spending time together at the track. Mitch Jr., 17, is a senior at Glendora High School in Glendora, California. He started racing short course in a Trophy Kart at age 11 in the CORR series, followed by the Lucas Oil Off Road Racing Series in 2008. He quickly moved up from the stock class into the Modified Kart class where he was a top contender and was a fixture on the podium. 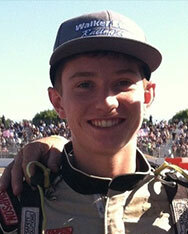 2011 was Mitch’s last season in the Modified Kart class. He led the points most of the year, and finished 2nd in the championship. Mitch has also navigated for his dad, Mitch Sr., in the King Of The Hammer UTV races, raced in the Soboba Grand Prix, the Lucas Oil Off Road Racing Regional Series, The Dirt Series, a SST UTV race, and in 2013 completed his second year in the WORCS series Production 1000 class, in which he had five wins and six podiums out of nine rounds of racing. 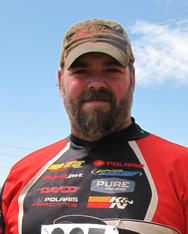 He held a season long points lead and won the championship in his Polaris RZR XP 900. At 16 years old he was the youngest in the class. 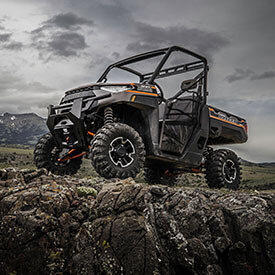 GOALS: Be a pioneer in the exploding UTV world with a race team, epic videos, partnerships with sponsors and helping build the Lucas Oil Regional series to bring more attention to the ever growing UTV market. PROFESSION: Owner Merrell Media/Producer at Hart and Huntington Merrell Media is company that produces professional commercials media services for the action sports industry and is the keystone to the race team’s social media storm. Clients have included Rockstar Energy, Hart and Huntington, Sony, Eclipse RV’s, Rockwell Watches to name a few. ABOUT: Jeremy is multifaceted person with a dynamic range of abilities and not just a driver. “Racing is not just about winning anymore, it’s about marketing and representing the brands that help keep us doing what we love. It’s about being relevant in an industry that changes daily, thinking outside the box, strategizing how we can really set the trend and that’s what set’s us apart from everyone else”. 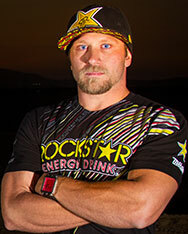 YEARS RACING: 2nd year in a SXS he has been riding dirt bikes since age 6 raced and dabbled in FMX, he has always been into off-road and continues to stay involved by attending many baja races, Lucas Offroad and even traveled with team Robby Gordon for the 2009 Dakar race from Argentina to Chile. Johnny Angal hails from Gilbert Arizona. He was transplanted to Arizona as a young man from California. Having the wide open Arizona desert and mountain’s surrounding him, he and his friends wore out plenty of dirt bikes, 3-wheelers and ATVs. After putting in his time and building a few different businesses, Angal headed out to the Glamis sand dunes for his vacation getaways. Needing a backup ride for the sand dunes, he purchased a Polaris RANGER. 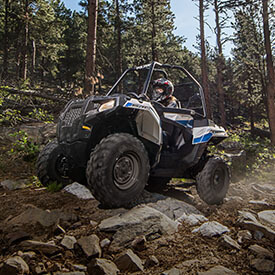 As things progressed, the next ground-breaking UTV on the market was the Polaris RZR and Angal started yet another Business selling UTV Performance parts. Angal has put tens of thousands of miles on his personal RZRs over the years; even going on one ride that lasted 23 days and 4800 miles across the United States; started thinking about desert racing while building a race RZR for a customer. Then, while attending the race, just to see what it was like, decided he was in. Racing his first race in May, 2014 he quickly pulled behind the race leader. Even after three flat tires and a seventh place finish, he was hooked and his rookie season had started! His second race was a fourth Place finish at the Score International Baja 500 and at the end of his sixth race, his team were the Official 2014 Baja 1000 Class 1900 1st place winner and most recently the 2015 BITD champion. Marc Burnett is an organizer and promoter as well as a racer. Burnett started racing motocross at the tender age of five where he accomplished multiple wins. 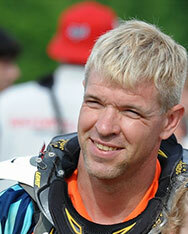 He is a well experience off-road racer, with 25 years of experience racing Baja. He rode for Factory Kawasaki, Honda and Suzuki. Burnett then moved onto racing Class 6 trucks where again he accomplished first place in the 2008 San Felipe 250 and first place in 2011 at the Baja 500. He’s also won the SCORE Milestone Award twice. Most recently, Burnett has made a huge impact in the UTV Pro-Class 19. Burnett started 2014 strong winning first place in the San Felipe 250. He came in second in the Best in the Desert Mint 400, Second in the Imperial Valley 250, First in the Baja 500, and last but not, least he won the 2014 SCORE Championship. More impressively, Burnett is the first person to “Iron Man” the Baja 1000 in a UTV in his class. Burnett is looking forward to 2015 race season and working with his new sponsor Polaris. Branden Sims is addicted to off road racing and everything in between from wake boarding at the lake in the summer to hitting the slopes on his board in the winter. Off-road racing has been his passion from the early age of 6 where he raced a quad in the “Whiplash Racing” organization. 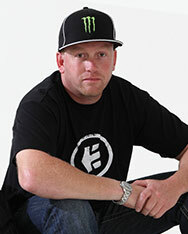 Throughout the years, Sims dabbled in a few other racing disciplines including BMX and downhill mountain biking. He returned back to his off-road roots when he was presented the opportunity to race a pro quad in the 2006 Baja 1000 point-to-point race. In his first attempt at the race, he finished the 1047 mile race in sixth place in the Pro class. After that race, Sims decided it was time to get off the quad and venture into the Utv scene. He purchased a Rhino and started the build at his shop. He raced in two different racing organizations in 2009 including the Whiplash racing series and the Grinding Stone series. Sims won the championship in both series in the Pro Utv class. In 2010, he built an SR1 to race LOORRS. At the end of 2013, Sims decided that he wanted to take his racing to the next level and purchased a 2014 RZR XP 1000 that he built to race at the pro level at King of the Hammers, Best in The Desert and SCORE. Born and raised in Gillette, Wyoming, Torrey Rush grew up riding ATVs, snowmobiles, dirt bikes and whatever else he could get my hands on. He started racing motocross at age 14, racing Wyoming and South Dakota race circuits. Rush went to college in Mitchell, South Dakota and earned a degree in powersports technology. 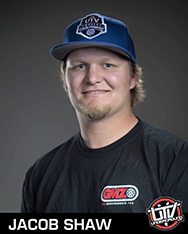 He moved back to Gillette, went to work for Destination X and started racing all different kinds of races: ATV, obstacle course, diesel truck drag racing, motocross, arena cross, endure and won a Wyoming trials championship in 2013. He also ran RMSHA snowmobile hill climb races and other different events around the region. Kevin Trantham born and raised in Western North Carolina, currently lives in Hot Springs, NC with his wife Sandy. 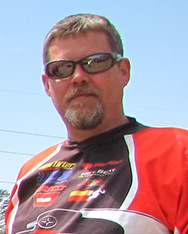 Trantham’s first GNCC race was in 2001, in Macon, Ga., and he began racing utility ATVs in 2005. He won the championship in the GNCC series in the 4x4 Lites class in 2010, 2011, 2012 and 2013, and finished second in 4x4 Pro class in 2014. He’s also raced the GBC Heartland Challenge taking first in 4x4 Pro Team in 2010, first 4x4 Pro Ironman in 2013 and first 4x4 Pro Team in 2014. When not racing, riding or working as a self-employed construction worker, he enjoys hunting, fishing, and shooting sports. John’s love for everything off road began when he was just 10 years old starting with a Honda Z50 he bought with his paper route money. Continuing through his youth and into the 90’s, John spent most every weekend riding motocross in Marysville Ca and throughout the hills and deserts of California and Nevada. In 2007, John purchased a 2005 Yamaha Rhino and spent the next few years riding the dunes at Sand Mountain and Glamis. 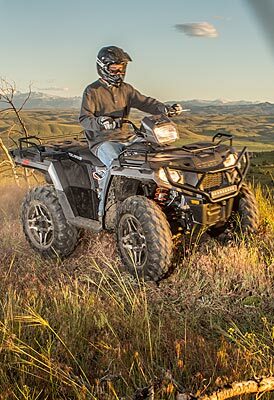 Within 2 weeks of seeing the “new” Polaris RZR S 800, the Rhino was sold and a new RZR-S was sitting in the shop. 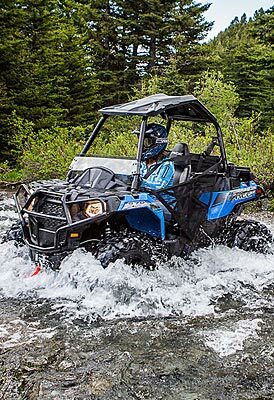 In 2011, John upgraded again to the incredibly fast RZR XP 900. 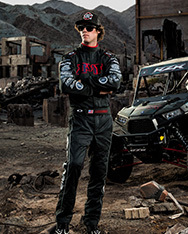 While at the 2012 Sand and Sports Super Show, John decided to “outfit” the XP and enter the 2013 King of The Hammers. 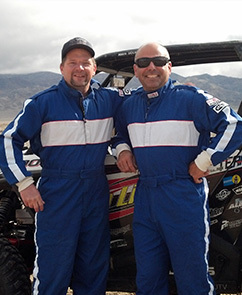 At the 2013 KOH, John raced in the Co-Dog seat next to his driver Paul Hart. The now deemed “Team Ducky” racing team finished the course after 12 grueling hours. Needless to say John was hooked. 2014, John would try The King of the Hammers again. This time John was in the driver’s seat, RGB would C0-Dog. Once on the lakebed and realizing that only one pit person showed up, John moved down to the sportsman class. 38 UTV’s left that morning with Team Ducky starting in 37th place. By the time the first lap was over John had advanced to fourth overall. Reducing their time from 12 hours the previous year down to four and a half hours on the same course, Team Ducky finished in first place. In 2015, Team Ducky decided to get real serious about UTV racing, upgrading to the RZR XP 1000 and entering in the ULTRA4 race series. Team Ducky picked up two title sponsors for the 2015 season. Team HighLifter and Desert Craft/Bilstein shocks, as well as other important sponsors. Team Ducky’s RZR XP 1000 was in third place at the 2015 KOH when they suffered a broken transmission that would put them out of the race. 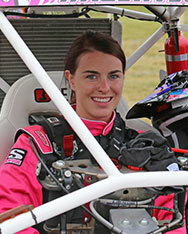 Having been introduced to racing as a kid by her Dad, Becky Widdicombe spent time racing karts as a young adult. She didn’t turn to dirt until 2010 after chasing her husband and son around the track while taking photographs. Once turning to XC ATV racing, she was hooked. Starting on a 4x4 she moved to a sport quad quickly where she was much happier and started bringing home the trophies. After joining the Team UXC Racing family for the 2015 GNCC season with her husband, Graham, she experienced XC racing at its best. The opportunity came up to ride shotgun with Michael Swift in a RZR and she loved it. Whenever there was a spare seat in the team, she was happy to jump in. Widdicombe comes from Taunton in the South West of the UK. She is 38 but thinks she’s still 25! Being competitive in nature, she has always loved anything involving challenging herself. Outside of racing XC, which she has been doing for six years, she enjoys Brazilian Jiu Jitsu and Muay Thai Boxing, and loves to Scuba dive when there’s time. She also completed in the London Marathon for charity in 2011. Widdicombe works as a Senior Medical Affairs Adviser for Pfizer, a large pharmaceutical company. When it comes to ATV racing, Widdicombe races under the number 177 and picked up the nickname Speedywiddi. Her biggest highlight was taking a top 100 finish at the Weston Beach Race after three attempts. It’s the toughest race of the year and is exceptionally hard on machinery and the rider. She appeared on TV doing a super fast pitstop so it made her race even more! Widdicombe has had some great race highlights, taking home a fourth place in the British XC championship for the women’s class, some class wins and bringing home two second places with her son in the Great 8 hour Iron Quad class. Both times they were leading but issues caused them to drop to Second. They intend to take it this year! Jesi Stracham is from Iron Station, North Carolina. From June 2, 1992, her parents knew she wasn’t your typical little girl. Starting in a power wheels jeep, she graduated to go-carts. From the go-carts she started drag racing a YFZ 450 on alcohol that was even equipped with a wheelie bar. Every weekend her family would load up the quads and let her and her sister go head to head on the drag strip. In 2005, Stracham and her family would make the transition to GNCC on mini-quads until her age would let her move up to the premier women’s class. Stracham was involved in a motorcycle accident in January of 2015; it nearly cost her life. Paralysis opened Stracham’s eyes to a world of opportunity. She spent three months in the hospital, after her discharge she hit the ground running. Shortly after her accident, while she was still in the hospital, she was connected by John Pellan of UTV Scene with Racer Tech of Holland, MI. Racer Tech set out to build the ultimate cross-country racing Polaris ACE with custom hand controls for her to compete in the first season of the GNCC Single Seat Class. After a lot of hard work and many other sponsors coming on board to help, Stracham was out racing again just four months after a life changing accident and only one month after being discharged from the hospital. The project became so well recognized on social media it was dubbed project #inspirACEtion. Project #inspirACEtion promotes getting out and living life regardless of the situation. 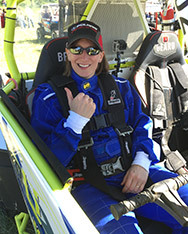 It started with Stracham’s racing, but she has expanded it further. Stracham has skied, competed in a team events, represents North Carolina for Ms. Wheelchair USA, was featured on the Today Show, and she was named the 2015 Sport Ambassador for GNCC. Stracham is also a part of a clothing company called Justified Cultures. They allowed her to create her own clothing line in which a percentage of the proceeds go back to spinal cord injury patients. In 2015, Stracham ended the six-race GNCC season with a respectable fifth place overall finish after missing the first two races due to being in the hospital. For 2016, Polaris has teamed up with Racer Tech and the additional sponsors to put Stracham in a ACE 900 SP and return to the GNCC Single Seat class in which Stracham has her sights set on the No. 1 spot.